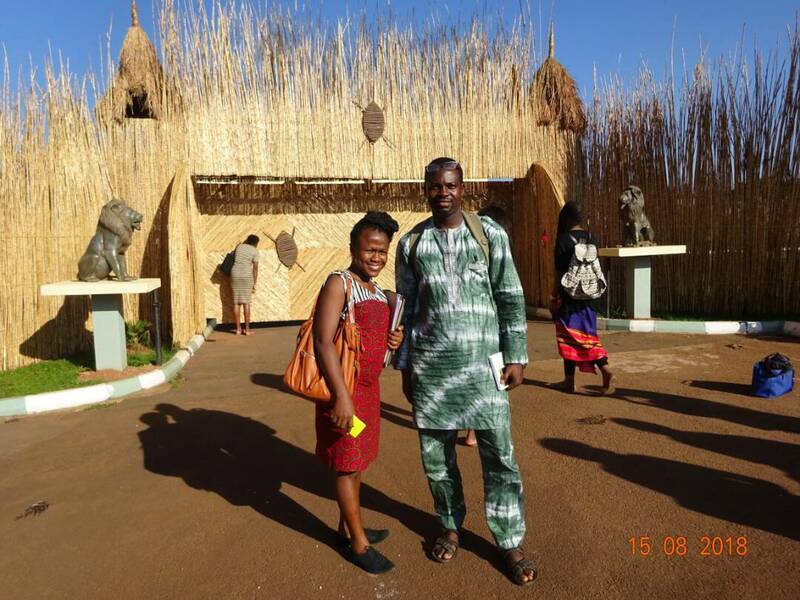 Poetry first drew me towards Kampala four years ago when my poem ‘Laruge’ was nominated for the Babishai Niwe African Poetry Prize. I was invited for the prize-giving event but a threat of Marburg virus put paid to the idea. 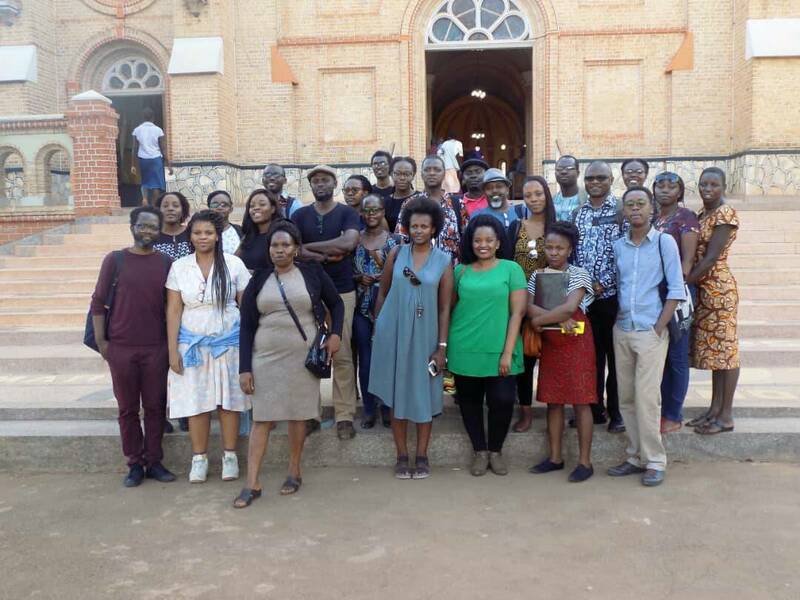 When the opportunity to be in Kampala came again via the AMLA Writing Workshop, I was lucky to be among the academic cohorts chosen for the event. My earliest idea of Uganda was the film (too young to remember the title) portraying Idi Amin Dada, the former dictator of the country. Then in secondary school we were taught the history of the Buganda Kingdom. 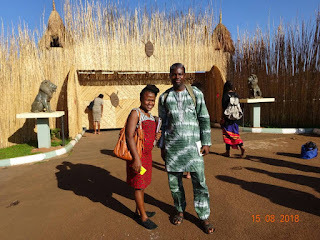 In University, it was the lyrical poetry of Okot B’Pitek that connected me to Uganda. I had wanted to leave from Kano but Ethiopian Airline said I have to board in Abuja. 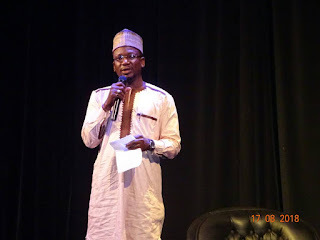 The previous week, I had been travelling around; Sokoto, Maiduguri, then Ilorin. I arrived in Abuja two days before the departure. The journey via Bole airport in Addis Ababa to Entebbe was without hassles. On the plane, I watched Space Jam, the cartoon film featuring Michael Jordan, twenty-one years after it was the rave, especially because of the sound track ‘I believe I can fly’ by R. Kelly. It was such an inspiration back then, as it will always be. When we got to Entebbe around 1 am, about an hour later than the schedule, after passing through the immigration, I found myself outside but no one was carrying any placard. After fifteen minutes of waiting, I resigned to sit by a side and wait until dawn. I thought our pick up man had waited and decided to return home. Not long after he showed up. How glad I was! There were two of us, another Nigerian, Temitayo, and I. In no time we had connected. We had to wait a little while for another scholar from Zimbabwe. Tinashe soon arrived and we were taken to Acacia City Hotel in downtown Kampala. The three of us arrived a day before the event began and we were shown our rooms upstairs, the three rooms facing each other. Room 17 was mine. We had the whole of Tuesday to ourselves. In the evening, in the company of Temitayo, we crossed the road to Shoprite opposite the hotel to get something to eat. When we got to the cashier, my dollar card would not read on their system. It was the first time I was going to use the card and it was a disappointment. We were shown a nearby bank where we can withdraw cash so we can pay. We soon realised that for the forty thousand Ugandan Shillings we needed we were going to be charged an additional thirty thousand Ugandan Shillings! What an unfair system. In the end, Temitayo had to change her dollars, in which she suddenly became a thousandnaire! I had forgotten some dollars back in Nigeria and was too confident the card would work. I learnt my lesson the hard way. Always go with some hard cash. The following day, Wednesday, the other participants had arrived and we all had our breakfast. We received a call to walk to Modest Hotel to join the others in the bus to Makerere University where the event would take place. We first went in the wrong direction because our guide didn’t understand where we were going. It was a good exercise. We retraced our steps back to find the others waiting for us in the Bus. At Makerere, the event began with opening remarks by Bwesigye Bwa Mwesigire, one of the conveners and of the Centre African Culture and Enlightenment (CACE). 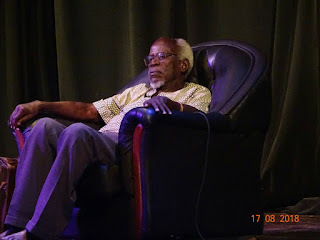 Using the metaphor of the housekeepers and gatekeepers, he gave an overview of the literary landscape of Africa, particularly literary activism. The housekeepers are the least noticeable people in households, yet their work makes the house liveable and lively, he said. In the literary house are the editors and proof-readers, playing the important role of housekeepers in the creative process. The gatekeepers speak to the critics, scholars, and publishers who make or mar the creative processes. After the opening event, we split into two cohorts of the academic and the arts managers. I was in the academic cohort and therefore could not say much on what went on in the literary cohort. On the first day, there was a talk about Journal Publishing: processes and opportunity. The conveners from Exeter and Bristol Universities in the UK, Kate Wallis and Madhu Khrisnan were on hand with two editors of the Eastern African Literary and cultural Studies, Godwin Siundu and Lynda Spencer to bring us up to date. It was a lively and eye opening engagement. We were also shown videos from some of the editors on what to look out for when sending articles to journals. One of the participants, Jama Musse Jama showed a video of the Hargeysa International Book Fair of the Somaliland. It is an insight into what a labour of love can achieve. 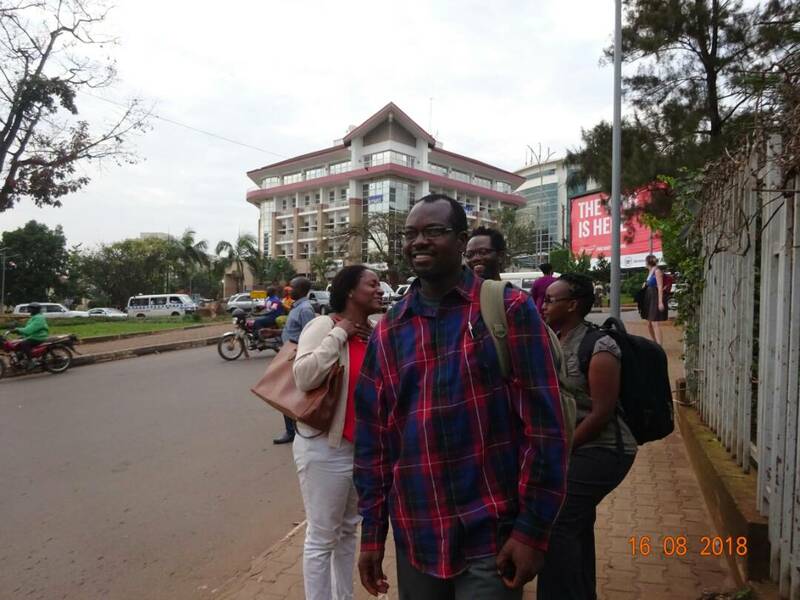 In the afternoon, we were taken on a tour of Kampala, a city built on seven hills. Of particular interest to me was the visit to the palace of the Kabaka of Buganda Kingdom, something I had learned in my secondary school history over two decades ago. Before we moved inside the palace, all the women wearing trousers were given a wrapper each to cover their trousers, as the king must not see any woman in trousers! Talk about different cultures for different folks. The palace was undergoing some reconstruction; we could only peep through spaces in the cornstalk gate. The palace is being built after the style of Buckingham palace. Beyond the gate, there was not much to see but it was still interesting. We took photographs. 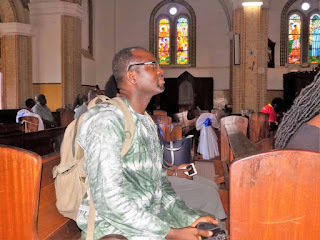 We also visited churches in Namurendi, that the Catholic Church established in the early twentieth century and the Anglican Church. We then visited the royal burial ground located away from the palace. The king who is also the husband of every member of the society, irrespective of gender, does not die, he simply disappears! The main burial chamber, built with thatch in a conical form was burnt years back and it is still under reconstruction. When asked why the delay, the tour guide explained that different clans are responsible for different stages of the construction. His own clan is responsible for the rings of thatch inside the conical roof. The Lugave clan, we learnt is responsible for the drums at the entrance. These are beaten to announce the death of the King. Beside the burial ground, which was once the palace, is also the oldest mosque in Buganda, Masjid Taohid, built during the time of one of the Kabakas who tried his hand at the Islamic faith, largely in a syncretic way. In the evening we had a dinner at Makerere. On Thursday 16 August, the workshop continued with various talks on journal article publication. In the evening, all participants had five minutes to present their papers and get feedbacks from fellow participants. This was about the height of the workshop. Patterns in feedbacks are indications that something needs improvement here or there or an aspect is well written. The following morning, we all had a one on one feedback from the editors that further enriched the presentations of the previous day. Thereafter we had launch and then moved to the Ugandan National Theatre. Built over fifty years ago, it is an iconic building and a colonial legacy. 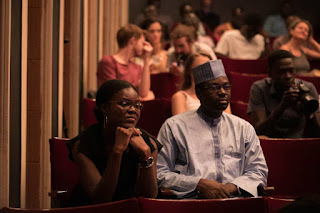 At the National Theatre, the Literary and Arts Managers cohorts had the opportunity to present their projects and ideas before the academic cohorts for appraisal. 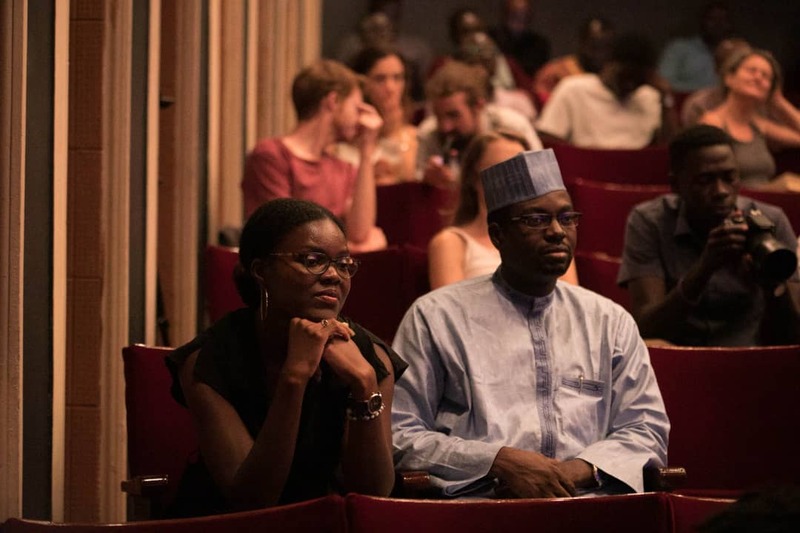 From Bookoven in Kenya to Minna Book and Arts Festival (MinnaBAF) to Book Banque in Lagos Nigeria, the cohorts all have interesting projects they are working on in promoting the arts. Book oven was my favourite. Theirs was about editorial intervention in literary outputs. 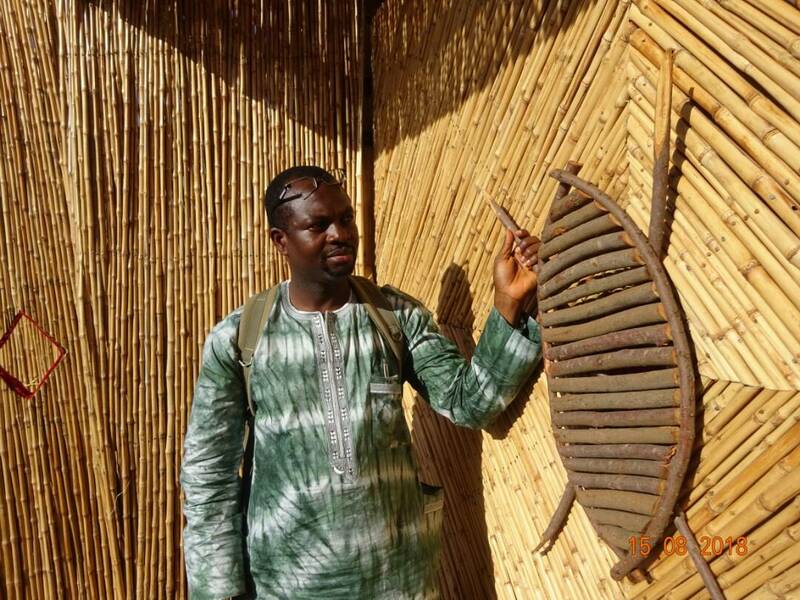 It was reassuring that in various parts of Africa, young people are enriching their societies through the arts. Bringing them together under a platform to exchange and share ideas was reassuring for all the participants. In the evening Professor Taban Lo Liyong gave the keynote address to open the 2018 Writivism Festival. He was a delight to listen to. His name is one of those hovering around my consciousness but I could not pin it down to anything. Listening to him, I was convinced I have been missing something all along and now I must look for his writings. Using the metaphor of the jawbones and umbilical cord central to Bugandan myth and symbolism, he challenged young writers to speak to power, even if it will land them as guests of the big jawbones crushing the small jawbones, like it did his friend Ngugi Wa Thiong’o. He read from a paper he wrote almost forty years earlier but whose truth still rings fresh. The day ended with a networking reception and dinner and if nothing else, at least I met and became friend with a Ugandan, Jackson Dre, who had been at Ebedi Residency in Nigeria and knows about ‘oga’. 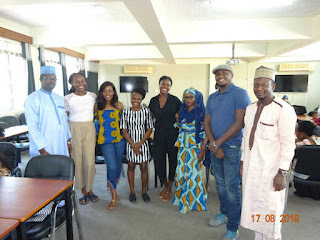 The workshop was to continue the next day, dovetailing into the Writivism Festival where Nigeria’s Dami Ajayi was to launch his latest collection of poetry ‘ The Body of a Woman is a Country’. Unbeknownst to me, I was not going to be part of the final day of the workshop. After returning to my hotel, tired from the daylong event, I was discussing with fellow participant from Nigeria about my departure the next day when she looked at my flight schedule and quickly drew my attention to the fact that I have just about four hours left! I have been caught napping by my African sense of timing. The day in an African psyche begins at dawn. We often neglect the 00 hours as beginning of the next day. My flight was for 2:45 but no am was written after it, so I assumed it must be 2:45 pm of the 18th that was just two hours away! I quickly packed my bag, went downstairs to get the receptionist to call a taxi for me. Luckily that was quickly arranged. Then the problem of payment reared up again. I had no Ugandan currency with me. Temitayo came to my rescue again; she paid the 90,000 Ugandan shillings for the taxi fare. We exchanged goodbyes with Tinashe and Temitayo and off to the airport I went. It was a fifty-minute drive to Entebbe. I was just in time to check in. I couldn’t stop laughing at my folly of mistiming and not coming with hard currency. I had always distrusted these cards, what made me to rely on it this time around beats me. Before you know it, we had reached Bole and from there the four hours flight to Malam Aminu Kano international airport in Kano. My family were on hand to take me home. I was so glad it had all turned out to good. In my journeys around the world and particularly in African countries, what I found disheartening is the way these countries are better organised than Nigeria and how much respect they accord to Nigeria and Nigerians. We simply refuse to take our God given leadership position in African affairs; they do not even seem interested in contesting this with us. The airports at Bole, Nairobi and Uganda are better than our so-called international airports. We seemed drunk on too many resources! I wonder where the pride or shame of our leaders is. At the workshop, Nigeria was well represented and we gave a good account, individually and collectively. Why can’t we have something like this organised in Nigeria for other African countries. I mused? I remain hopeful that it is not impossible. Dr Saka Aliyu writes from Bayero University, Kano.